Good food. Great food, even. Great drinks. After all, we are the current culinary Mecca, n’est pas? We are the culmination of the local Southern Food movement. We are the number one city in the world to visit, or so we like to think. And we are good. We’re really good. But y’all, we aren’t alone. So in Atlanta, I was surprised. Not because Atlanta is lacking, but because Atlanta has never felt like a huge food place to me. Was there good food? Yes, in fact, I love many restaurants in Atlanta ( Bistro Niko and really the entire Buckhead Life group, I’m looking at you! ) Did I consider it “on the map”, as it were? But after this weekend, I’ve changed my mind. The Atlanta Food & Wine Festival gave me a renewed look into the Atlanta food scene, and I like what I saw. The Knob Creek / Big Green Egg Tent, which had a diverse lineup of cocktails and bites, along with a well-planned out “drink your cocktail while waiting for your bite” setup, felt like a fancy backyard grill-out, with a roped-off line for access, ensuring it wasn’t TOO crowded. Rows upon rows of Hot Chicken ( Quail? ) from Hattie B’s famous Nashville restaurant were appropriately Southern, and outrageously delicious. If the rain hadn’t forced a temporary shut down while I was at that tent, I might have snuck back for seconds … or thirds. Tent after Tent of small bites and full-sized drinks had something to offer everyone. The whiskey companies and Southern style foods in particular, had a great showing, but the offerings certainly went beyond just chicken and biscuits. For instance, Hendricks Gin created a show-stopping steam-punk cocktail heaven. From the suitcase that made gin and tonics with the turn of a crank, the exquisitely styled motorcycle and sidecar, to the towering Negroni machine, it was a fantastic spectacle that has been my favorite “you won’t believe what I saw this weekend” story. But among all the local Atlanta and National brands … we, Charleston, we did represent. Chef Blair Machado’s delightfully meaty and cheesy bread sticks were the perfect bite paired with the cocktail tents surrounding the Indaco booth, and even though they were one of my first bites of the evening, they ( along with the Hot Chicken later in the evening ) were some of my favorite solids consumed that day. Other Charleston well-knowns, like The Darling, Virgil Kaine, Home Team BBQ, and Brown’s Court Bakery, also made great showings, because y’all know we can’t let Atlanta take all the credit. But maybe from now on we should give my hometown a little MORE credit. 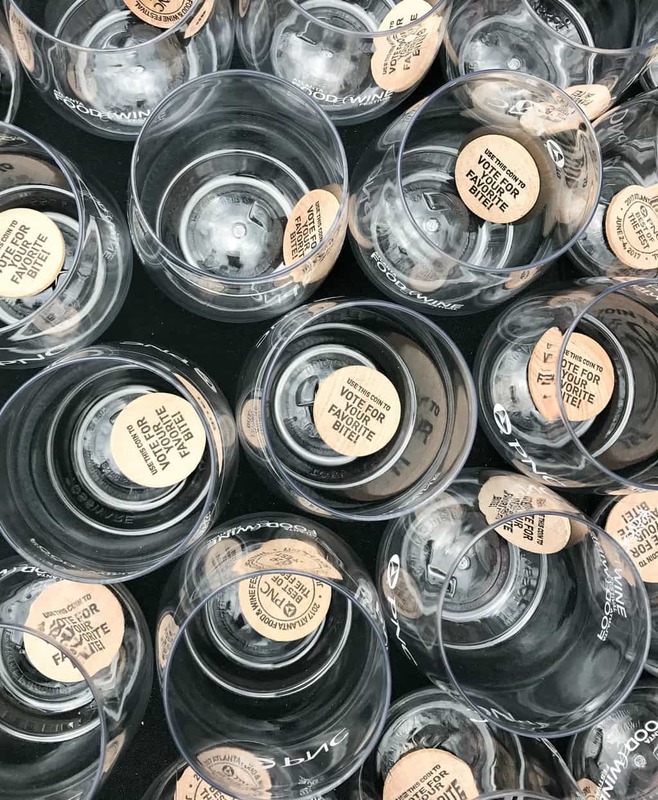 From organization to vendors to events, the Atlanta Food & Wine Festival was one of my favorite foodie events of the year, and I am already thrilled to attend next year and see how they continue to step up their game and #KnowTheSouth. What are some of your favorite foodie cities and events? P.S. Word on the street is that Sean Brock’s skillet was stolen during the festival, which sounds like the start of a really crazy video-game based adventure that I would definitely love to play, but also makes me pretty furious on a serious note, because what is wrong with people?! I think the SAME thing about Atlanta food…. it’s good and there are some really great spots, but it’s not Chaaaahleston. You just made me want to stay with my sister and go to this next year! I feel the same way about Atlanta Food & Wine; such a good time. Great recap!